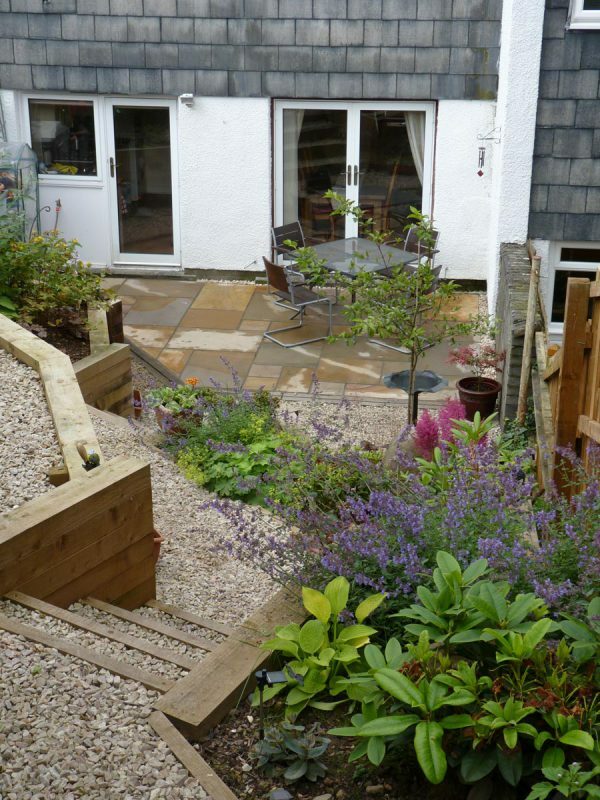 Our clients were at a loss as to what to do with their back garden when we first met with them. There was a steep incline with some makeshift steps up the side and the rest was pretty overgrown and uninspiring. 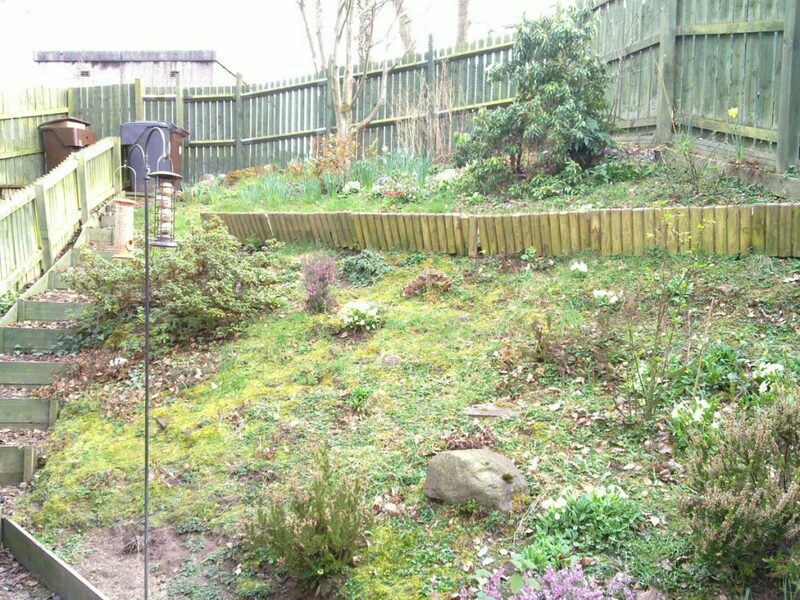 The extent of the borders and the lack of access meant the clients didn’t want to spend any time in their garden. Creating terraces was a necessity but with access being difficult, brick terracing would be problematic. 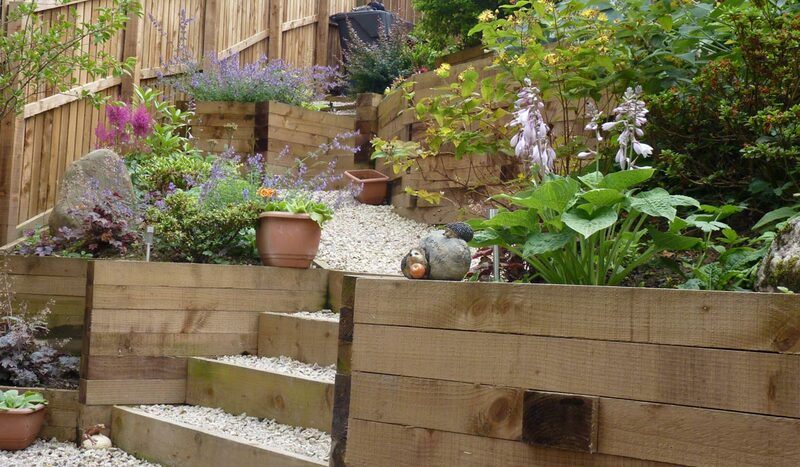 A softer, contemporary and more natural option of timber sleepers was chosen instead. Turning the timbers on their end every now and again added a different dimension to the sleeper walls. 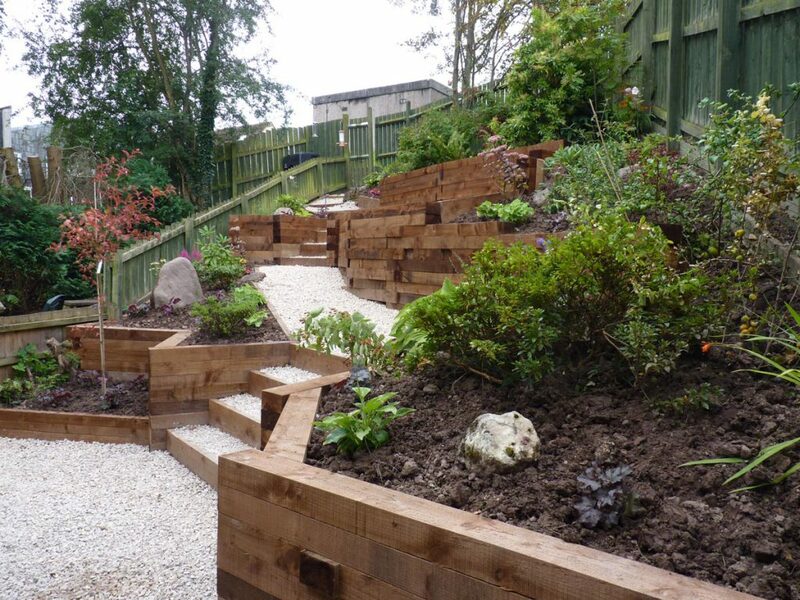 The sleepers also provide comfortable seating throughout the garden and an easy perch whilst working in the borders. 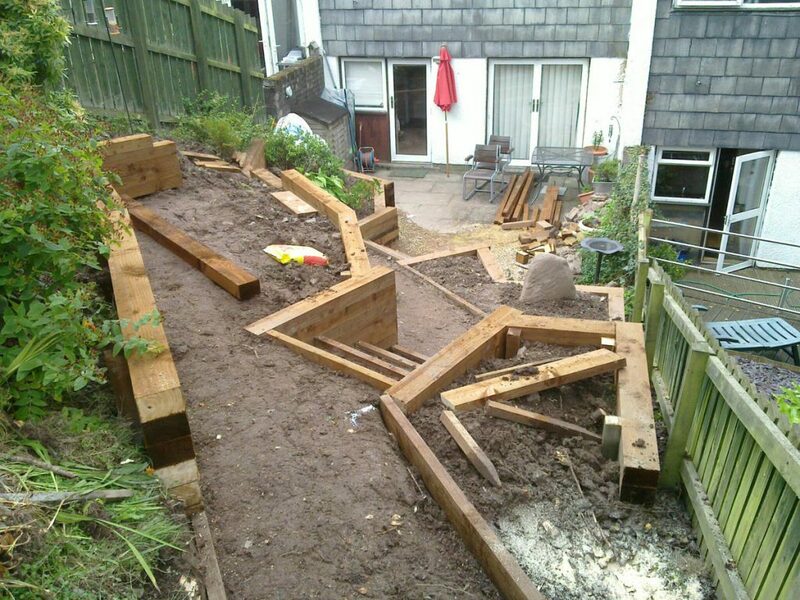 "Absolutely thrilled with the transformation of our garden from inaccessible slope to inspiring terrace! 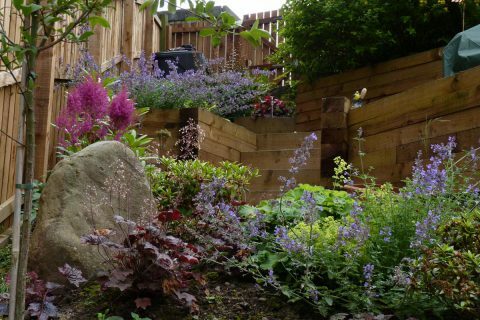 The new plants and shrubs have met our expectations and more for colour, scent and insect interest. We particularly love our new "standing stone" dug from the clay depths! " Digging out the terraces proved to be a good work-out! Not only were we dealing with heavy clay soil, there were also a lot of very large stones being dug up along the way. Several of these were placed in the borders to add interest, including a very large “standing stone”. 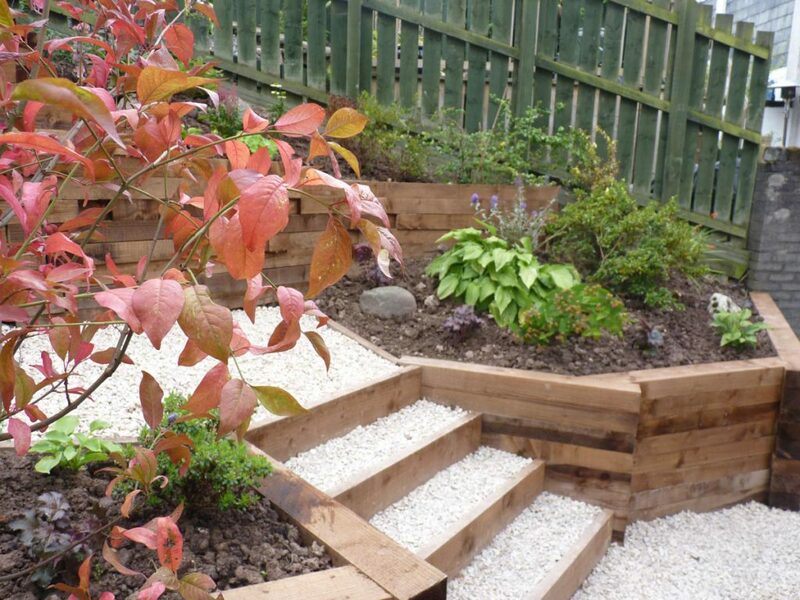 Rose pink quartz gravel was chosen to create the new pathways around the garden. 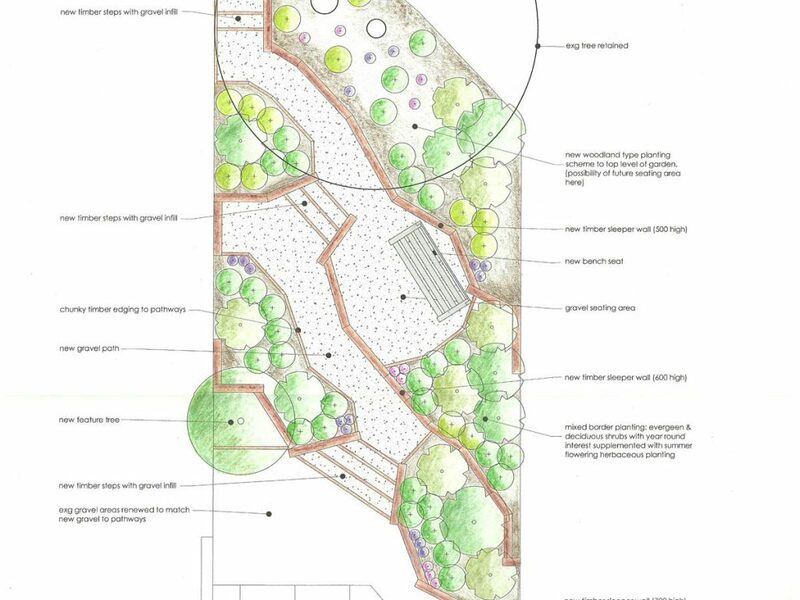 The paths were designed to give easy access to all areas of the garden as well as an easy way to reach the back gate. 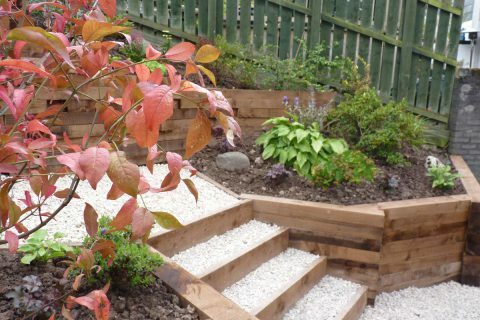 The planting was a mix of low maintenance shrubs such as rhododendrons, pieris and cotinus along with herbaceous such as anemones, heucheras and alchemilla. Ferns and hostas were chosen for shady spots whilst Euonymus Red Cascade is a stunning feature tree in the first terrace, in full view of the house. 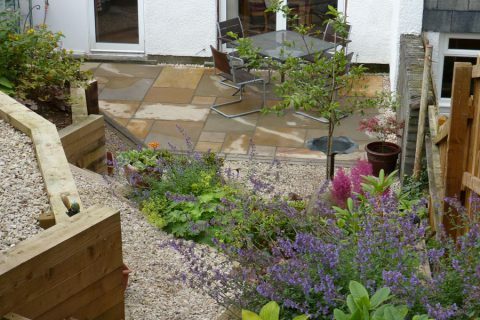 The clients were keen to attract bees and butterflies so plants such as buddleia and nepeta were included. The garden is now broken down into several small flower beds, all of which are now easily accessible. Previously the extent of the beds was overwhelming and inaccessible so was left unloved. 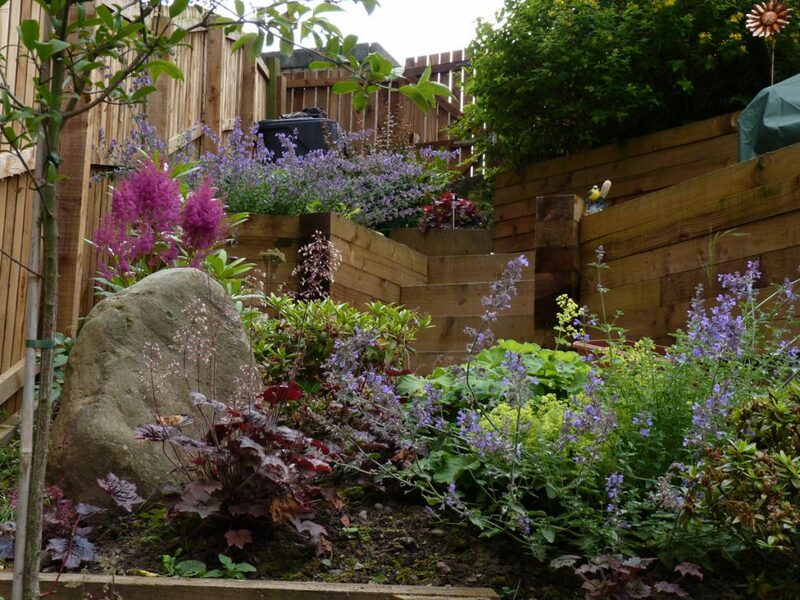 Now with low maintenance plants the garden is easy to manage and a pleasure to spend time in. New fencing and a new “sunset buff” sandstone patio finish off the garden beautifully.